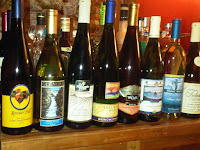 On Wednesday April 18th, I participated in the first 2012 Finger Lakes Wine Virtual Tasting Series for Finger Lakes white wines, sponsored by the Finger Lakes Wine Alliance. 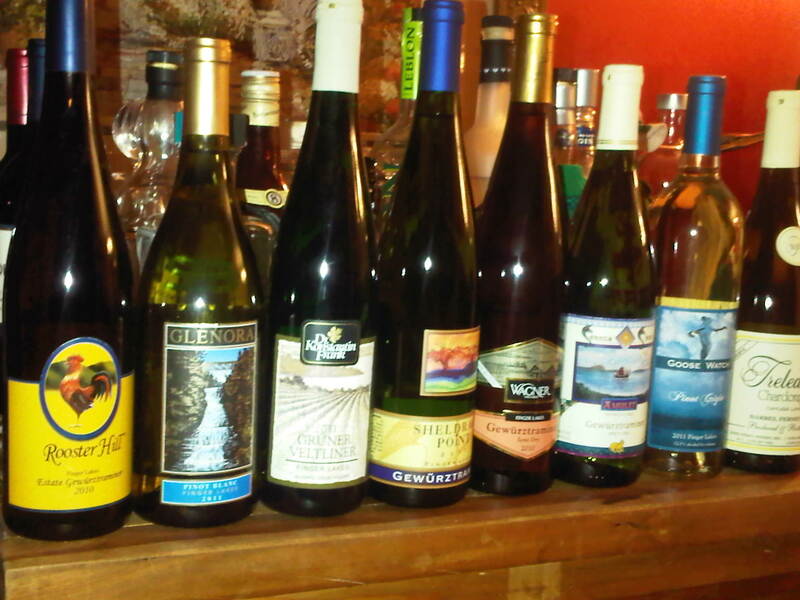 And not Riesling white wines, but a mixture dominated by Gewurztraminer but including other grape varieties that demonstrate they diversity of the Finger Lakes region. There was the Austrian Gruner Veltliner, Alsace Pinot Blanc, and staples such as Chardonnay and Pinot Grigio. The samples were also representative of the three largest lakes: Cayuga, Seneca, and Keuka. And, most importantly, all the wines sampled are low in alcohol and priced until $20. We started the tasting with the non-gewurztraminers, appropriately with the Dr. Frank's Vinifera Wine Cellars 2011 Gruner Veltliner. Dr. Frank's pioneered the growing of vinifera grapes in the Finger Lakes and the GV is the latest in their portfolio. This was an enjoyable wine, balanced between fruit and acids, plus a nice texture that guides you from the head to the tail. The Glenora Wine Cellars 2011 Pinot Blanc was lighter, but had a similar balance and hits home when paired with food. The wine was barrel fermented, but the oak adds texture and doesn't overshadow the fruit. I normally avoid Pinot Grigio as much as possible, basically being extremely indifferent to this varietal wine. Why drink it when there are so many other more interesting whites available? That thought process was shaken by the Goose Watch Winery 2011 Pinot Grigio. There was nothing boring about this wine, it had flavor, texture, and yes, some creaminess. The secret may be that the wine is not 100% Pinot Grigio, but 75% - enough to label the wine as a single varietal. In addition, it contains 10% Riesling and Chardonnay as well as 5% Vignoles. Maybe this 25% adds the necessary attributes to elevate the Pinot Grigio above dullness. I will follow up later with my thoughts on the Gewurztraminer, but in the meantime, here's the link to the recorded live stream. Cheers.